Happy 4th, Cheynie and Janice! Love the photos! Love those pics. She is so good to let you dress her up and sit for photos. Lots of bribes involved? Happy 4th July to you both. And just think...it's July 4th everywhere though not a holiday in most of the world. 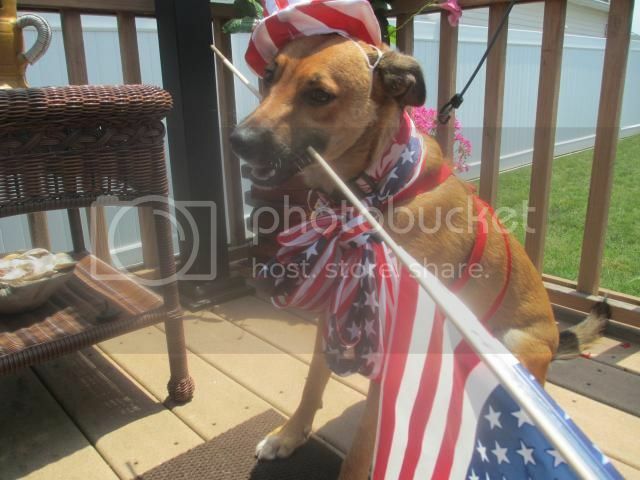 Cheynie looks very patriotic. 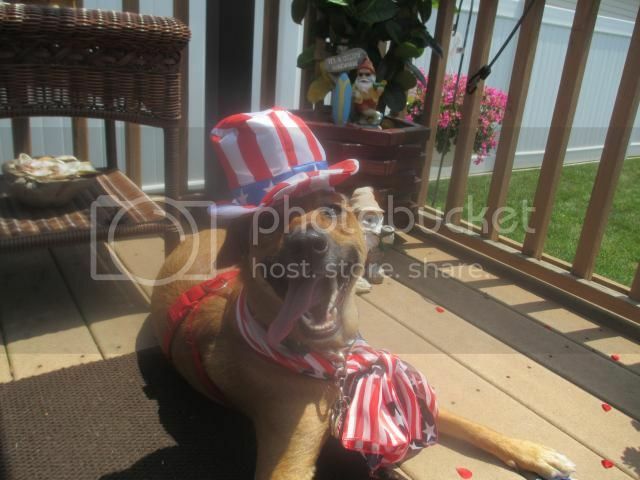 Aww Cheynie, just like Chessie always did, you look wonderful in your holiday outfit! !